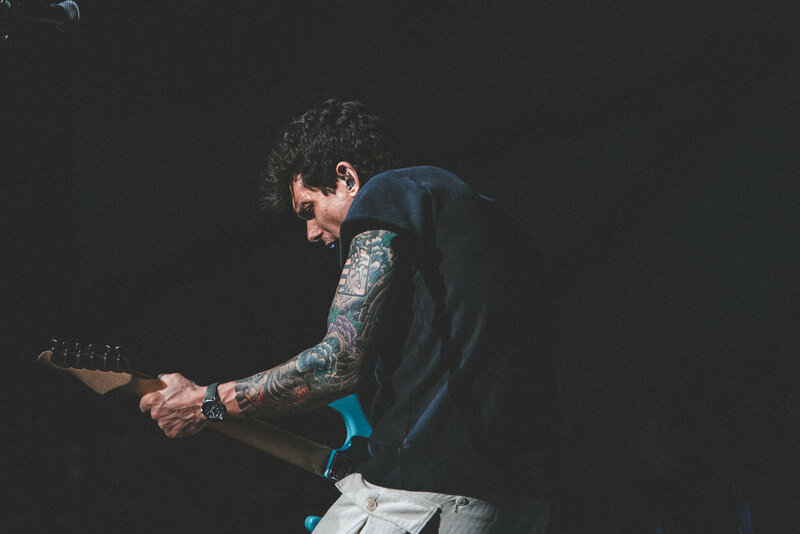 Musically, John Mayer is an enigma to me (and to many others as well, I’m sure). He’s built himself a multi- grammy award winning career where he comfortably straddles the lines between multiple genres- winning over the hearts of the masses whilst still maintaining his status as one of the best guitarists of his generation. Strolling onstage, you can tell he’s at home here, surrounded by 12,000 odd people and tailoring the night’s setlist with such effortless skill to ensure that a smile is plastered on every single face in the crowd. Wearing loose beige cargo pants, a grey sweatshirt with the sleeves cut off and more confidence than one could ever want- he’s in his element. 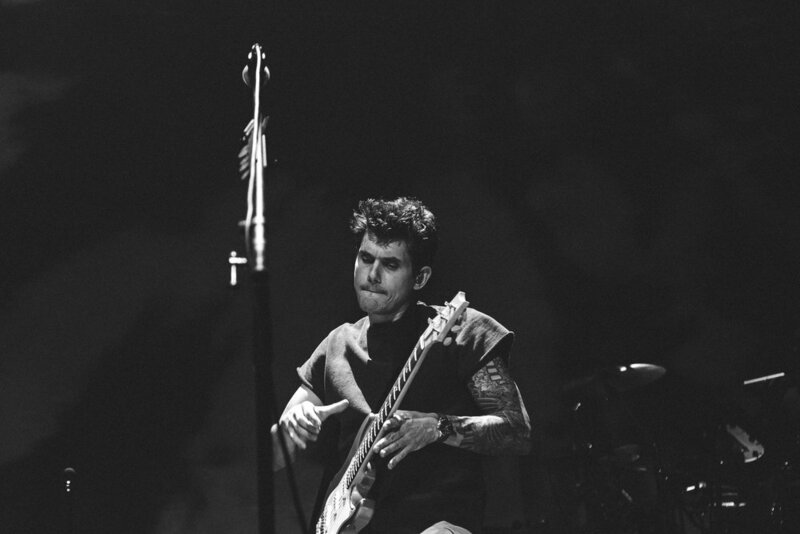 Mayer’s guitar-face is so distinct and recognisable, but so so adorably funny. Lips pursued, eyebrows raised and eyes closed in concentration and enjoyment, his head tilts back and moves along acting as a moving cursor on a page of sheet music. His legs are spread wide- for stability of course. These solos, while frequent (I’m talking at least one per song here) really showcase his insane talent but also his ability to completely lose himself in the music. He tells us a story of 2011, an era where he describes hiding amongst an excess of stubble, long hair and layers before slipping into the solemn crooner, Whiskey, Whiskey, Whiskey. 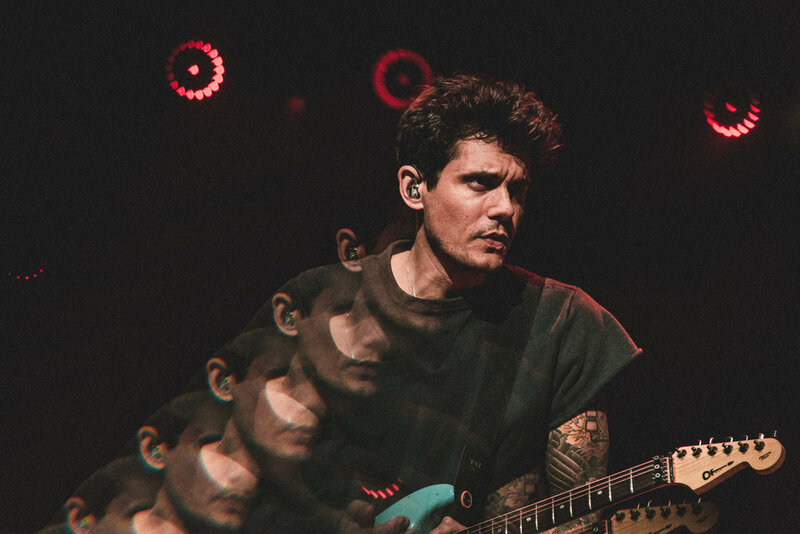 “It’s just a phase, it’s not forever,” he reassure us in between playing his harmonica and I wonder if this relaxed, more self aware era of John Mayer we’re currently witnessing is another of many phases in his long career. No Such Thing begins and I’m transported back to the mid 2000s where my brother and I are in the backseat of our family car belting this song from the top of our lungs. I haven’t heard this song in years but I know all the lyrics start to finish as if it were yesterday. After rejoining us after a (fancy pants) intermission we’re graced with a couple of solo tracks including a cover of the Bruce Springsteen classic I’m On Fire. I’ve written before about my undeniable soft spot for covers of this song, and this occasion is no different. His band join him back on stage for the next song and by golly did he luck out with the support. These guys are all incredible musicians in their own right but together they come together like the Avengers of artists. 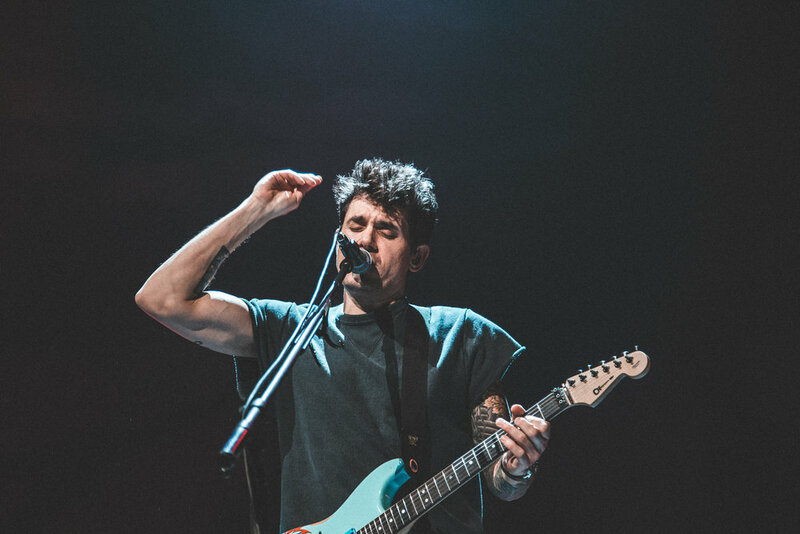 “This one still has that new car smell,” he tells us, and confessed that “there’s something so freeing about dancing like a schmuck.” “Do you guys have the word here?” New Light is a new direction for Mayer and I’m truly living for it. I can’t listen to the song without picturing him waving at Zebras, swimming with goldfish and dancing like a schmuck as promised (seriously, look up the video clip if you haven’t seen it). This song has one of my favourite guitar solos that he’s ever written and it’s impossible not to groove to. Let’s be honest, the guitar is the real star here- it’s who we all came to see. Acoustic or electric, clean or dirty distortion- he plays it all and makes it look easy. I read somewhere once that he got into guitar after watching Marty McFly shred in Back to The Future, and all I can say is thank god. Slow Dancing in a Burning Room is next and the guitar melody is still hands down one of my favourite things ever. It would truly disappoint my high school music teacher to hear me say that I can’t quite know how to describe why, but it is the most silky, sweet, romantic and downright soulful melodies and it gets me every time. Ending his encore with Gravity, is a gentle reminder of his overarching musicianship to create restrained, yet complex tracks, while his true romantic nature shines through.